The Lahaina, Kaanapali & Pacific Railroad, better known as the Sugar Cane Train, is helping to keep alive, bring back, and revitalize Hawaii's rich railroading history. The little tourist line, located on the Island of Maui, has been in operation since 1969 when the Sugar Cane Train was started that year by A.W. "Mac" McKelvy. 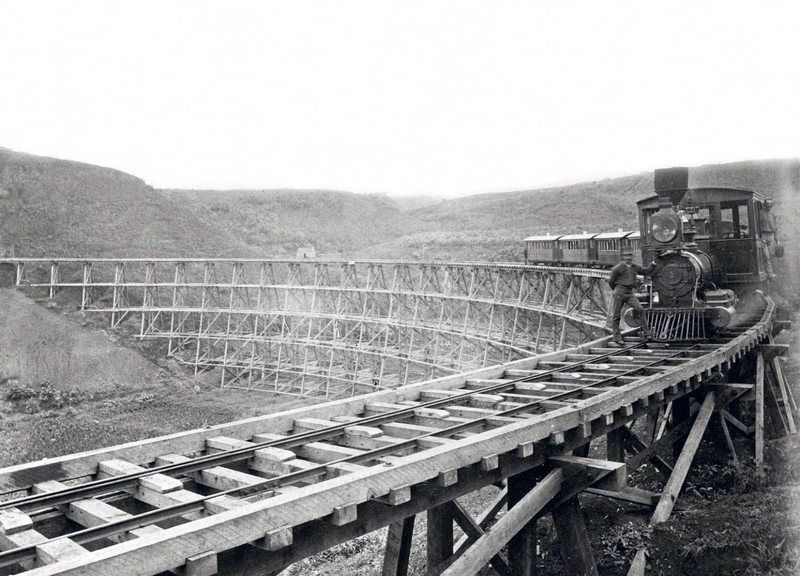 As when it was started the Lahaina, Kaanapali & Pacific Railroad (as it is officially known) operates over six miles of narrow-gauge railroad which connects Lahaina to Puukolii. While the LK&P is certainly no Strasburg or Napa Valley Wine Train in the many and/or luxurious services/trains offered it still is a unique and interesting operation in a tropical setting that, interestingly enough, was once teaming with railroads (which will learn about while on your trip). As for the Sugar Cane Train itself, its line was another of the many plantation railroads found on the islands serving the Pioneer Mill located in Lahaina through the first half of the 20th century when the mill switched its mode of transportation to trucks (which were much more versatile and cheaper to operate than railroads). In its nearly 40 years of operation now the Sugar Cane Train has become a popular tourist destination and has even spurred the upstart of other tourist lines on the islands which help to tell the state’s railroading history (they include the Hawaiian Railway, Kauai Plantation Railway, and the Pineapple Express). Many do not realize it but at one time Hawaii featured quite a bustling railroad network across many of its islands. Its earliest history with trains well predate the islands' statehood when a small narrow-gauge line opened a few miles of track in 1881 at the Kilauea Plantation (on the Island of Kauai) to serve its sugar cane crop. Most railroads located on the islands were used in just this capacity, small narrow-gauge operations designed to work the sugar cane fields, one of the state's important cash crops. However, the large island of Hawaii did operate a very impressive standard-gauge line at one time, the Hawaii Consolidated Railway. Chartered in the early spring of 1899 as the Hilo Railroad, it was renamed the HCR in 1914. By the time World War II hit the island on December 7, 1941 the railroad featured an impressive system that included a signaled, double-tracked main line, and several extensions serving various businesses around the island. Unfortunately, the tsunami that hit on April 1st, 1946 devastated the railroad permanently closing the operation. The Sugar Cane Train today is able to operate a year-round schedule due to the balmy, tropical climate in which it is located. They usually run trains four times a day from three different locations; Puukolii, Kaanapali, and Lahaina. Pricing is very reasonable, considering that currently they do not offer hardly any additional services aside from the train ride itself (although they do hope to eventually add special trains and events). On that, however, they do accommodate large charter groups or wedding ceremonies so if interested please contact them to learn more. #1, "Anaka": An 0-4-0 design built by the H.K. Porter, Inc. for the Carbon Limestone Company. It is currently in operating condition. #3, "Myrtle": A 2-4-0 design built by the H.K. Porter, Inc. for the Carbon Limestone Company. It is currently in operating condition and the most often used locomotive to pull excursions. The engine is beautifully restored and sports a vibrant paint scheme. 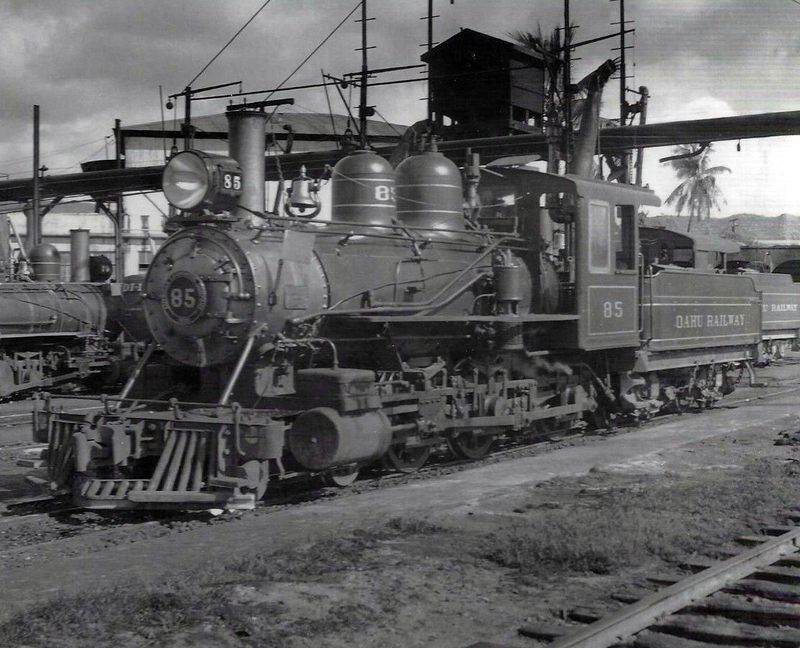 #5: An 0-6-2 design used by the Oahu Railway & Land Company. It is currently awaiting restoration. #45 Oahu: A small diesel switcher built by the Plymouth Locomotive Works. It is operational and helps with moving cars and other equipment around the property. While I know most folks go to Hawaii for the beaches and the sun, if you have a chance you may also want to either visit one of the state’s few remaining tourist railroads, like the Sugar Cane Train, or the Hawaiian Railway Society to get a glimpse at what railroading was once like in the Aloha State. For more information about the Sugar Cane Train please click here to visit their website. There you can learn much more about all of the services they currently offer visitors including pricing and area attractions. 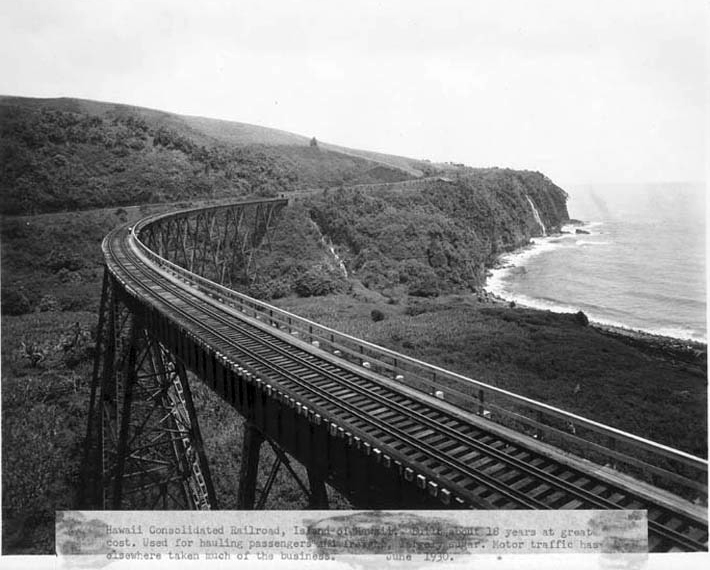 To learn more about the history of Hawaii's railroads please click here. Also, for more information about excursion trains like the Sugar Cane Train you might want to consider the book Tourist Trains Guidebook, which is put together by the editors of Kalmbach Publishing's Trains magazine.